LA MARTINIQUAISE was founded in 1934 by French wine and spirits pioneer Jean Cayard. Passionate about its industry and driven by a truly entrepreneurial mind-set, the company is today a family success story undergoing rapid international development. The Group’s success is driven by the investment of men and women who combine their expertise to breathe galvanizing energy into the Group’s brands. Every member of the Group in every part of the business shares the same passion for its products and the values of sharing and togetherness. 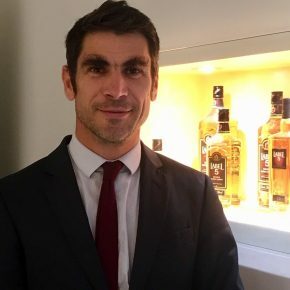 LA MARTINIQUAISE is experiencing strong growth in France and abroad. We are a family-run Group, with the same pioneering spirit of our founder Jean Cayard, looking for dedicated staff with an entrepreneurial attitude. Encouraging pro-activeness and listening, we make sure that every member of the team is at the heart of the business and feels able to make their suggestions heard. Our strong growth, led by the development of our brands and a sustained campaign of acquisitions, enables us to offer our staff many development opportunities in France and abroad. This universe is often enhanced by the creativity of bar professionals through inventive new serving methods and unique experiences. The Group's wide portfolio of brands reflects a diverse wealth of tastes and expertise from around the world. Our category is focused on pleasure and responsible drinking is a way of life that we like to call Spiritainment.